Using a specially designed hot-water drill to cleanly bore through a half mile of ice, a National Science Foundation (NSF)-funded team of researchers has become the first ever to reach and sample the “grounding zone,” where Antarctic ice, land and sea all converge. Data gathered from samples of sediment taken in the grounding zone will provide clues about the mechanics of ice sheets and their potential effects on sea-level rise. 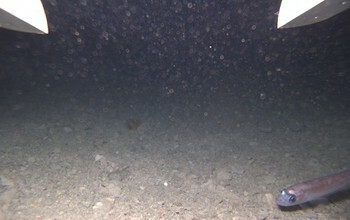 Cameras sent down the drilling hole also revealed an unsuspected population of fish and invertebrates living beneath the ice sheet, the farthest south that fish have ever been found. The surprising discovery of fish in waters that are extremely cold at -2 Celsius (28 degrees Fahrenheit) and perpetually dark poses new questions about the ability of life to thrive in extreme environments. “I have been investigating these types of environments for much of my career, and although I knew it would be difficult, I had been wanting to access this system for years because of its scientific importance,” said Ross Powell, a chief scientist with the Whillans Ice Stream Subglacial Access Research Drilling (WISSARD) project and a researcher at Northern Illinois University. The newest discoveries stem from the WISSARD project’s investigation of the grounding zone of Whillans Ice Stream of the West Antarctic Ice Sheet (WAIS), roughly 850 kilometers (530 miles) from the edge of the Ross Ice Shelf in Antarctica’s Ross Sea. WISSARD is funded by NSF’s Division of Polar Programs, which also provided the logistical support needed to succeed in the challenging Antarctic conditions. The division manages the U.S. Antarctic Program, which coordinates all U.S. scientific research on the continent. On Jan. 16, as more than 40 scientists, technicians and camp staff were working around-the-clock to collect as many samples and data as they could while the borehole remained open, the WISSARD team deployed a Remotely Operated Vehicle (ROV) called “Deep SCINI”–(Submersible Capable of under Ice Navigation and Imaging)–to explore about 400 square meters (4,300 square feet) of the marine cavity around the borehole. The ROV was developed at University of Nebraska-Lincoln. The ROV discovered a variety of fish and invertebrates including numerous amphipods, or marine crustaceans, components of an ecosystem that may provide new insights into how creatures survive and even thrive in one of the world’s most extreme environments. “Finding fish, or any other type of life, under an ice shelf is by itself not novel,” said John Priscu, a WISSARD chief scientist and a professor of land resources and environmental sciences at Montana State University, who has studied life in and under Antarctic ice for more than 30 years. “However, our WISSARD data will establish for the first time sources of carbon and energy for higher trophic levels in this most southerly marine ecosystem. Our data will also provide important information on the connectivity between subglacial environments and ice-shelf productivity, allowing us to predict first responders to a warming climate,” Priscu added. After the initial Deep SCINI deployment, a package of oceanographic instruments, developed at Northern Illinois University, including a downward-looking camera, recorded data in the cavity over a tidal cycle and also observed many fish swimming by. Although life has been found previously under the Ross Ice Shelf, this site is the closest to the South Pole where such marine life has been documented. The southernmost ocean waters in the world are only 70 kilometers (43 miles) south, under the Ross Ice Shelf at about 85 degrees South latitude. 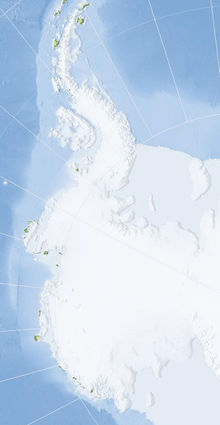 The grounding zone is also extremely important for the stability of the ice sheet and ice shelf. The Texas-sized Ross Ice Shelf is the world’s largest floating slab of ice. Numerous streams of ice in WAIS feed into the ice shelf, like rivers flowing into a lake. Scientists are particularly interested in the dynamics between the ice, glacial sediments and water in order to understand how the system may respond to future changes in climate. Some climate models predict warmer seawater may intrude into grounding zones and cause melting at the base of the ice shelf. A weakening or collapse of the Ross Ice Shelf would allow ice streams of WAIS to flow more rapidly into the ocean, which would raise global sea level. While going down the borehole, cameras observed rich sedimentary debris in the ice. These observations, combined with data from cores of sediment collected from the sea floor and water from the marine cavity, will add significant information to the scientific questions about how the ice sheet works and interacts with sediment and ocean waters in these settings. They can perhaps provide answers to the recent past and possible future behavior of the massive West Antarctic Ice sheet. This part of the Antarctic continent includes Subglacial Lake Whillans, a shallow body of water located about 800 meters (2,600 feet) below the West Antarctic Ice Sheet, which periodically fills and drains upstream from this grounding zone.The WISSARD team investigated the lake two seasons ago. Fresh water from the lake is thought to eventually reach the seawater cavity at the present study site through a subglacial waterworks that may be similar to a coastal wetlands ecosystem–think an estuary and its surrounding salt marshes, but one that is covered by ice, and missing all the marsh grasses. The ice sheet also delivers sediment called till, to the grounding zone to perhaps influence ice dynamics and provide nutrients to this ecosystem. The National Science Foundation (NSF) is an independent federal agency created by Congress in 1950 “to promote the progress of science; to advance the national health, prosperity, and welfare; to secure the national defense…we are the funding source for approximately 24 percent of all federally supported basic research conducted by America’s colleges and universities. In many fields such as mathematics, computer science and the social sciences, NSF is the major source of federal backing.